The Network of Sparsely Populated Areas of Southern Europe (SSPA) met Wednesday, May 9, with its counterpart in northern Europe, the Network NSPA (Northern Sparsely Populated Areas), an organization that has existed since 1992 integrated by fourteen depopulated regions of Sweden, Finland and Norway. The partners of the SSPA have learned from the Finnish representatives of the NSPA, Päivi Ekdahl and Kristiina Jokelainen, the advances in the respective territories that work for a common goal: to achieve strong, specialized and attractive areas, essential elements for guarantee the development of these areas. For network coordinator Sara Bianchi, “it was a very fruitful meeting because we were able to learn about the progress of our northern counterparts and the similarities in the work of the two networks. We have also submitted to the NSPA our position paper on the post-2020 cohesion policy in which we ask that there be a specific section for rural areas, as well as that the funds reach the territory and be invested in a comprehensive approach, so that a long-term development of these areas is achieved “. They have also been able to exchange impressions on the next steps to be taken within their respective networks. The meeting between the SSPA and its homologous network in the Scandinavian regions took place in Soria, within the framework of some days of social innovation for the repopulation in Europe organized by the coworking center “El Hueco”. The northern regions of Europe have achieved very positive results in terms of development and innovation in recent years thanks to the Regional Development Funds combined with additional allocation, during the period 2014-2018 of the program on the cohesion policy of the European Union. 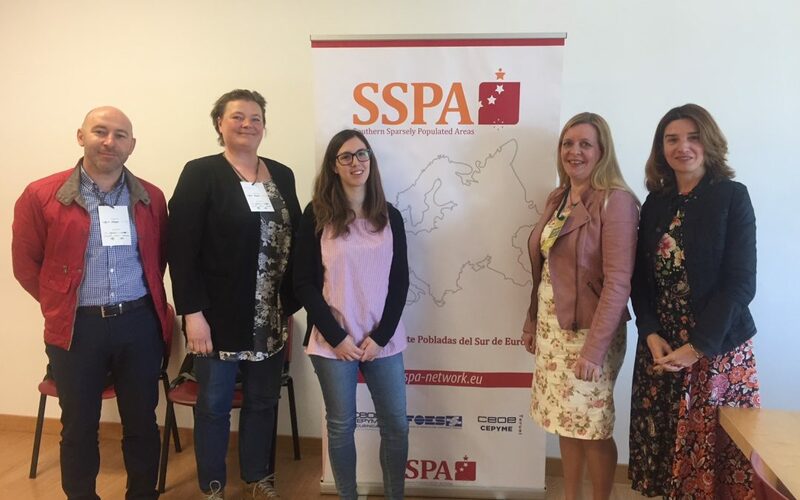 The SSPA Network also hopes to achieve these legislative and political measures in Spain and Europe in the next programming period of 2020, aimed at reversing the depopulation process and its consequences. Both organizations have common objectives: they advocate a strong post-2020 cohesion policy for all regions, with adequate financing and flexibility to generate jobs and sustainable growth, always taking into account the specific needs of sparsely populated regions.